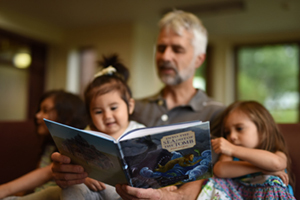 Ralph Martin is president of Renewal Ministries in Ann Arbor, Michigan and director of graduate programs in the new evangelization at Sacred Heart Seminary in Detroit. 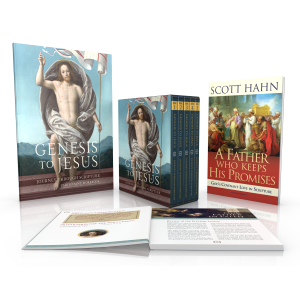 He is the author of the best-selling The Fulfillment of All Desire: A Guidebook for the Journey to God Based on the Wisdom of the Saints. Francis de Sales helps us identify exactly how temptations to particular sins work and how to successfully resist them. 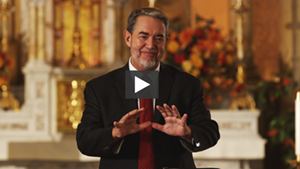 He identifies three steps in the process of temptation. First, sin is proposed to the soul. Then, we are either pleased or displeased by the proposal. Finally, we consent to or reject the temptation to sin. While we are all familiar with the basic concept of being tempted and giving into it or not, Francis points out that a crucial decision is actually made right after the temptation presents itself, at the stage where we are either initially pleased or displeased by it. He points out that even if we have no intention of giving in to the temptation the decision to take pleasure in thinking about it for a while before rejecting it is both dangerous and damaging in itself. Although we may sometimes find ourselves taking an almost involuntary pleasure or delight in a temptation, as soon as we become aware of it we need to immediately reject both the pleasure and the temptation. For example, while we may feel an almost automatic pleasure when a temptation to revenge or lust presents itself, it is very important that we immediately reject any voluntary delight in it. To linger over the temptation, to voluntarily take pleasure in it, even if we don’t intend to do the sinful action, may in itself be sinful, and certainly muddies the spiritual waters of our soul. To dally over a temptation is to run the risk of weakening our resolve and makes it more likely that at that time or at a future time we will consent to it. Also, it damages the “purity of heart” that is necessary both to “see God” and to make steady progress on the journey to union. Catherine of Siena talks about fighting the spiritual battle with a two-edged sword in our hands, with hatred of sin as one edge of the blade and love of virtue as the other. It’s right and necessary to hate sin. Sin is ugly. Sin always hurts ourselves and others. Sin is offensive to God. To grow not just in our intellectual understanding of the ugliness of sin but in our emotional reaction to it is helpful for resisting temptation. Francis and Teresa of Avila concur in emphasizing the importance of avoiding the occasions that may lead us into sin. They both point out how important it is to avoid those people, places, situations, activities, and thought processes that will lead us to be tempted to a particular sin. If we see that there is a connection between getting drunk, for example, and stopping at a bar after work, the first step in avoiding the sin is to avoid the occasion for temptation, the stopping at the bar. If we see that watching a certain television program or a certain movie stirs up lust in ourselves we need to avoid those programs and movies. To voluntarily put ourselves into situations where we know we will experience pleasurable temptations—even if we don’t intend to yield to the actions proposed—may even in itself be sinful. Even if we are vigilant about avoiding near occasions of temptation and sin, we will nevertheless run into temptations at times, and may feel pleasure when we do. 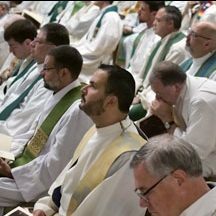 Francis talks about how sometimes the “lower” part of the soul involuntarily may feel pleasure while the “higher” part of the soul rejects the temptation. Francis points out that temptation is quite simply a fact of life that we will have to face. He points out that great saints were often tempted violently, and sometimes had to fight certain temptations their whole lives. 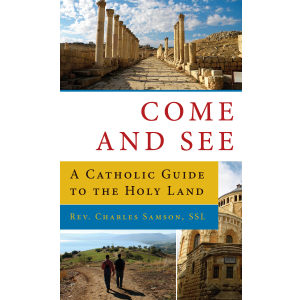 He mentions the apostle Paul, Angela of Foligno, Francis of Assisi, Benedict, and Catherine of Siena as among the great saints who had to fight violent temptations. 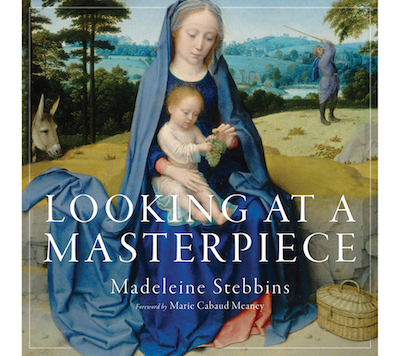 Catherine herself gives a sobering account of how on one occasion the most awful temptations to sexual sin buffeted her. When they were over she complained to God about Him apparently being absent during the time of this temptation. 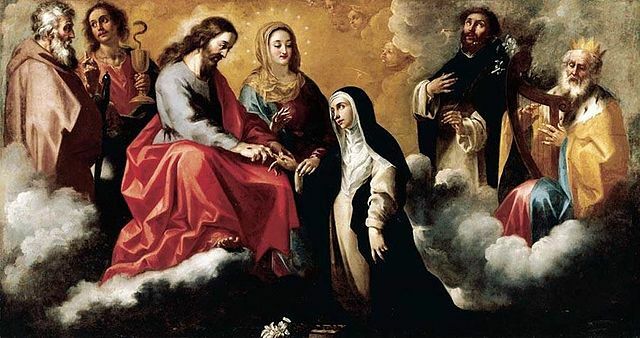 The Lord’s reply was that even though Catherine was only aware of the ferocious temptations at the time, He was indeed there right in the midst of them, giving her the strength to make it through. Francis reminds us that to be greatly tempted while refusing to yield in no way makes us displeasing to God, but rather, just the contrary. God is delighted when we resist temptations, even though we may feel “slimed” after enduring them. As a matter of fact, in addition to the basic practices of a fervent Christian life, resisting temptations and enduring trials is one of the primary means of spiritual growth. God uses the unavoidable realities of the world, the flesh, and even the devil as means to propel us to union with Him, if we grow in determination to resist them. The very attacks intended to defeat us in fact become the means to victory if we apply the wisdom of the saints in dealing with them. 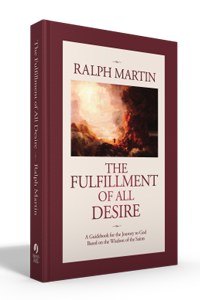 Ralph Martin's modern classic The Fulfillment of All Desire is a perennial best-seller. 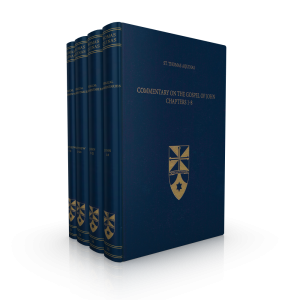 Drawing upon the teaching of seven acknowledged Spiritual Doctors of the Church, he presents an in-depth study of the journey to God.